Luxembourg Data Protection Days (LDPD) is an initiative that has been created by MGSI in May 2017 and coorganised by NautaDutilh. 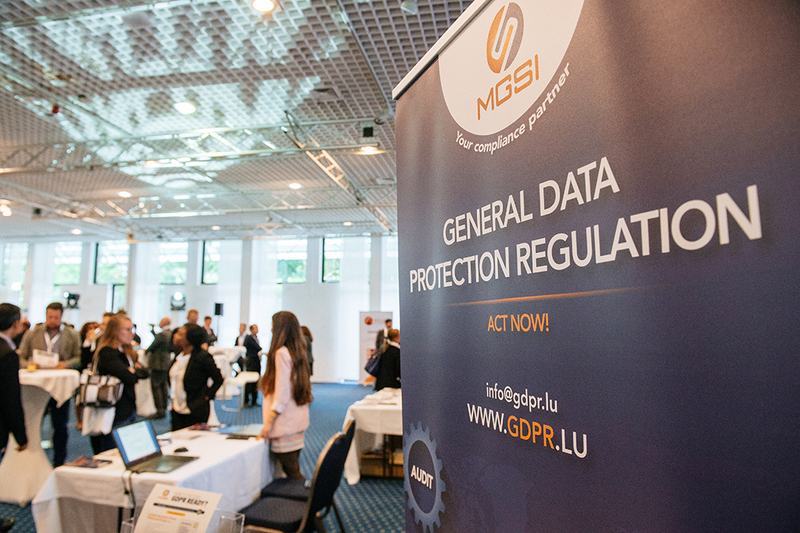 The second edition, also coorganised by MGSI and NautaDutilh, took place on May 29th and 30th 2018, few days after the entry into application of the General Data Protection Regulations (GDPR). The 3rd edition on May 6th and 7th 2019 will be coorganised by the Luxembourg Chamber of commerce and MGSI and will take place at the Chamber of Commerce. The aim of the Luxembourg Data Protection Days is to bring together more than 500 key players in the field of data protection (CEO, CIO, Compliance Officer, CISO, GDPR Specialists, etc.) and make the point of the application of the GDPR. One year after the entry into application of the GDPR, are all businesses fully compliant? What kind of difficulties companies do encounter in their journey to compliance? What are the impacts on their activities? What methodologies and implementation solutions have already proven effective impact? How do they apply the « Privacy by Design » principle required in every new process and business development? Those questions and many others will be debated with national and international experts from various sectors all along the edition 2019. The program of Luxembourg Data Protection Days is elaborated by an Advisory Committee of Experts. It includes workshops and conferences led by national and international experts. A networking evening organised the 6th of May 2019 will give participants the opportunity to exchange views and share their experiences regarding the GDPR and its implementation.